Coming in January, 2017: A Quiet Death, the third in the Dark Peak series. The paperback is available to pre-order at Amazon and the Bold Strokes website. Things are looking up for Detective Sanne Jensen and Dr. Meg Fielding. Dating each other seems to be working, their families are behaving themselves, and the worst of the post-Christmas crime wave is over. on East Derbyshire Special Ops for a quick resolution, it becomes ever more apparent that the case won’t provide one. With the Pakistani community closing ranks, and threads of suspicion reaching farther than anyone could have predicted, the investigation leaves Sanne facing an ordeal she may not survive. 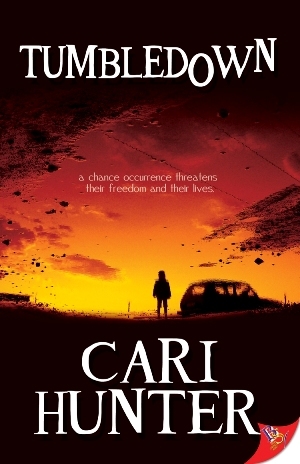 Cold to the Touch, is the sequel to No Good Reason, and the second in the Dark Peak series. The book won a Goldie for Best Mystery/Thriller at the 2016 GCLS awards. The paperback and e-book are available from Amazon or the Bold Strokes website. Winter in the Derbyshire Peaks: months of knee-deep snow, short days, and rocketing crime rates. Detective Sanne Jensen is living in self-imposed isolation and quietly falling apart, while Dr. Meg Fielding–Sanne’s best friend and occasional lover–is struggling to cope with her violent brother, who is back in town and demanding money that she doesn’t have. When the murder of a drug addict is dumped onto Sanne’s already unmanageable caseload, she suspects the death may be the start of something more sinister. But how can she investigate a crime when no one cares about the victim? And how can she stop a killer who has no identity, no motive, and no conscience? No Good Reason was published in June 2015. 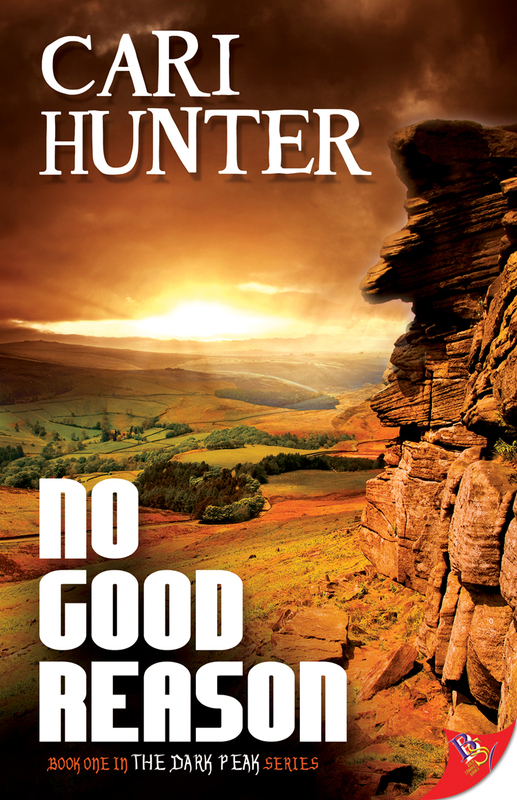 Set back in my familiar stomping ground of the Derbyshire Peak District, the novel is a police procedural thriller, and the first in the Dark Peak series. The book won Best Lesbian Mystery at the 2015 Rainbow Awards, and was a finalist in the 2016 Lambda and Goldie Awards. You can buy the paperback or the e-book from Bold Strokes Books or Amazon. My third novel, Tumbledown, was a runner up in the 2014 Rainbow Awards, and is available from Bold Strokes Books and Amazon as a paperback and e-book. 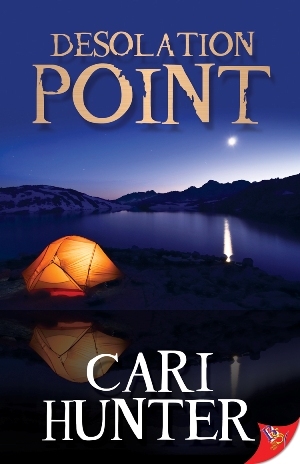 My second novel, Desolation Point, was voted runner-up Best Lesbian Mystery/Thriller by the Rainbow Awards 2013. It is available in paperback or e-book from Bold Strokes Books or Amazon. One wrong step in Los Angeles leaves Alex Pascal scarred and traumatized, unable to continue the career she loves. In England, a drunk driver shatters Sarah Kent’s family. For Sarah, leaving England to explore the North Cascades is an opportunity to regain her health and her confidence, while Alex has already abandoned LA to make the mountains her home. Drawn to the beauty and history of Desolation Peak, Sarah is hiking alone when a storm leaves her stranded. Determined to track her down, Alex heads into the wilderness, never anticipating the terrible danger she will face. Because Sarah is already running for her life, fleeing from a ruthless criminal with a mission to complete and nothing left to lose. With everything stacked against them, neither woman expects to survive, let alone fall in love. All they have to do now is find a way out. My first novel, Snowbound, was awarded an Alice B Lavender Certificate for outstanding debut novel, plus an Honourable Mention in the LBGT Mystery/Thriller category at the Rainbow Awards 2012. It is available to buy in paperback and e-book from BSB or Amazon. An ultimatum that forever changes the lives of police officer Sam Lucas and Dr. Kate Myles. When heavy snowfall isolates the small English village of Birchenlow, a violent robbery shatters the community. Taken as a hostage and stranded with the increasingly desperate criminals, Sam is seriously injured during an ill-fated escape attempt. Already struggling to save the lives of the villagers caught up in the raid, Kate volunteers to walk straight into the lion’s den. Cut off from help, with only each other to rely on, Sam and Kate must find a way to fight the odds and stay alive if the growing attraction between them is to survive. I finished reading “Tumbledown” last evening …. “wow” -it was … suspenseful, sweet …I’m still processing (obviously), it’ll take a second or third read to get anything more articulate. I’m thinking your writing is getting better and better … but that seems to imply it wasn’t pretty darned good to begin with …you have GOT to kiss a big “thank you” to your wife from me for getting you out there! You and your writing is so appreciated! I look forward to your next … 2015? 2016? Oh I reckon you’re spot on, Barbara; I think Tumbledown’s the best of the three I’ve written as well. I’m learning so much as I’m going along, and growing more confident in terms of plotting, pacing, and character development. And yes, I will happily kiss the missus for you! No worries at all about the FB thing – I didn’t know whether it was a system glitch or second thoughts, so thought I’d check. Feel free to lurk, friend, or not friend, whatever’s easiest. The vast majority of the book news will be shared on here as well. The extras on FB are mainly Peak District walks and naughty cats! Hi Cari, how are you? It’s Al here, are you still at the same address so I can send ‘No Good Reason’ to you for signing please?